Hold on to your hats, because today we are featuring the award-winning design studio, Anony Studio! Founded by Christian Lo and David Ryan, Anony Studio is already making a splash in some of the most popular design magazines! This dynamic duo, whose studio is based in Toronto, draws inspiration from cutting-edge sustainable manufacturing processes and technologies which results in timeless products. Anony's design formula seems to be synonymous with the words "fun and modern" as seen by the contemporary gem that is the Highwire Pendant. 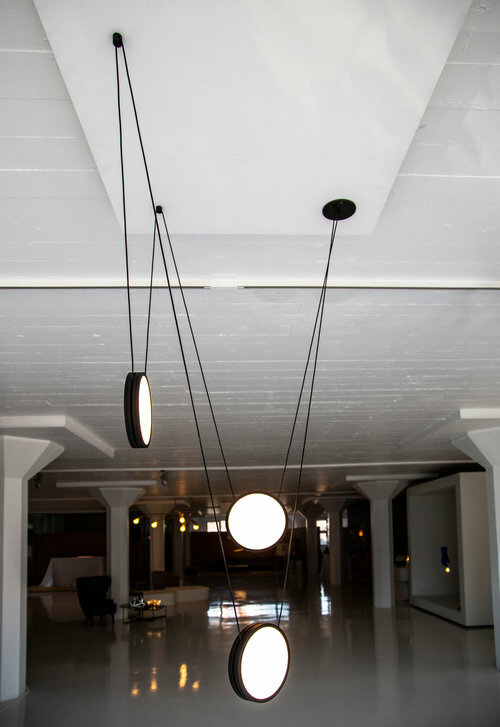 If you were asked to picture compelling unique indoor-lighting, what would you envision? Perhaps you would think about lighting that creates a warm atmosphere, ambiance, and adequate brightness. 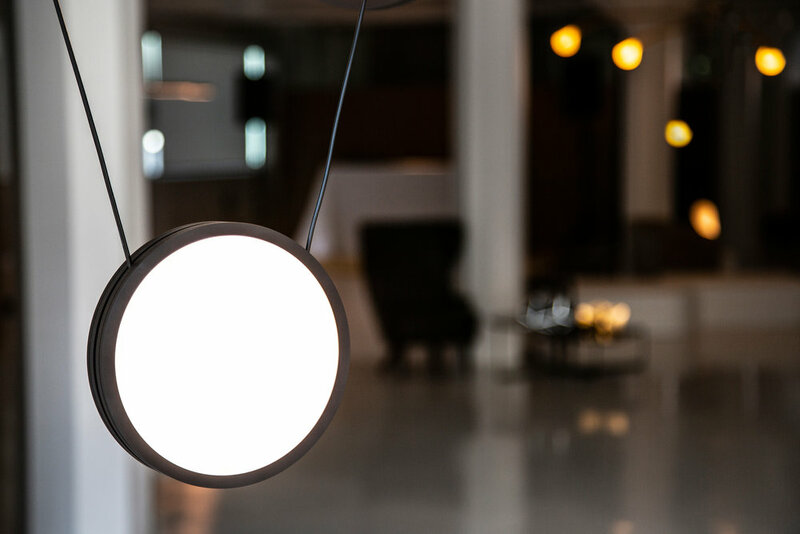 Unlike most other household furniture, the utility of light is dynamic and complex, and engages and interacts with surrounds spaces in subtle, yet significant ways. Lighting cannot be compared to furniture, seeing as furniture has a straightforward physical function, such as a chair, or a table. For designers, lighting can be more difficult to work with, and for that reason, it's often common practice in lighting design to minimize and mitigate the effect it would have by designing the housing and structure of the luminaire to be as discreet and subtle as possible. The notion of that concept is exactly what Anony Studio set out to question with its Highwire Pendant. 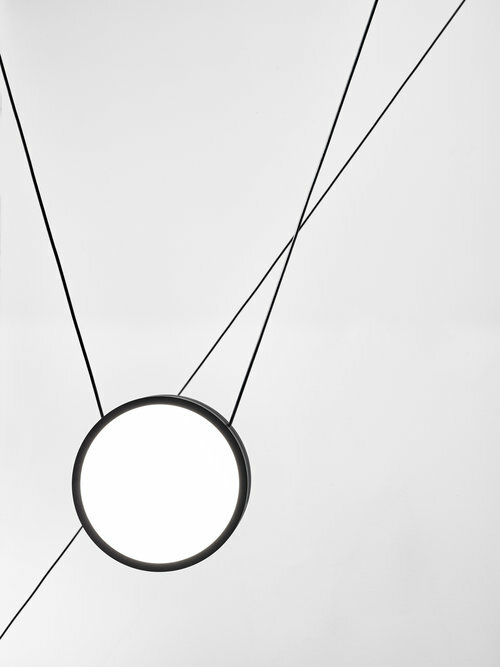 The Highwire Pendant comprises itself of a circular, two-faced disc which emits light from both ends, and is suspended from above with wires on its edge. Although the way the supporting cables suspend the lamps is rather elegant and subtle, the idea of them is quite the opposite. 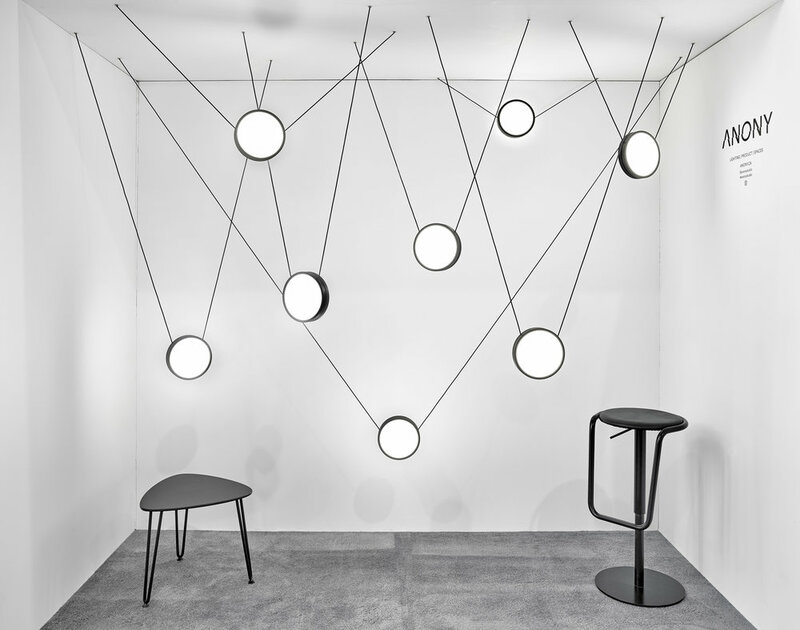 The Highwire pendant crosses boundaries as a suspended lighting fixture and imposes itself into space, almost as a unique interactive centrepiece. The beautiful thing about the Highwire Pendant design is that it's modular - a single one suspended looks just as aesthetic in a cluster, or a nice, simple arrangement. 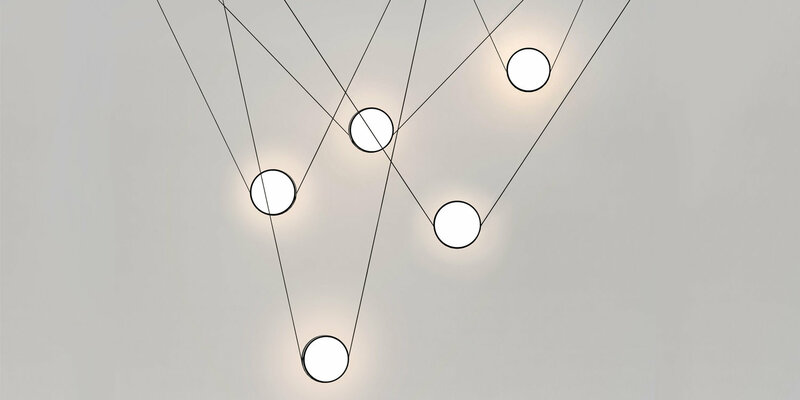 At different heights and angles, the Highwire Pendant is able to dynamically fluctuate itself in space and height, based on the delicate natural balance of gravity. The Highwire Pendant, whether you're into it or not, is a great conversation piece. It's this kind of design that challenges everything viewed as 'normal'. Bravo Anony Studio for creating something worth talking about! Photography courtesy of Anony Studio. Got a fantastic house, home tour, or other story you think our readers what to see? Promote your product, service, or business directly to HousePorn readers by sponsoring the blog.